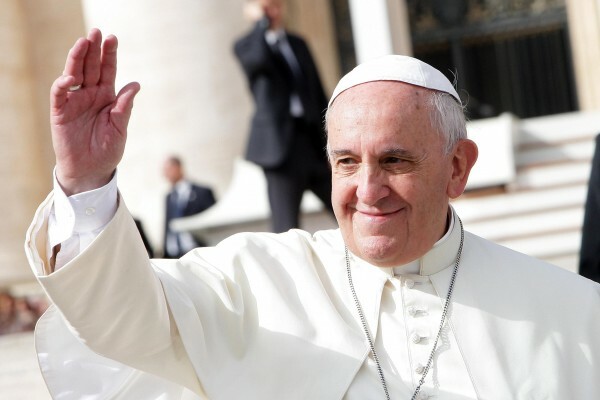 During this address to the Pontifical Academy of the Sciences, Pope Francis rocked the Catholic world, which has been a staunch enemy of science since the Church’s public excommunication, execution, and dismemberment of Galileo in 1633. His statements have been called “progressive” by the liberals in the Church who, contrary to the Catechism of the Council of Trent, deny that every falling object is pulled downward by an angel created for that specific purpose by Jesus and Mother Mary. “It is not inconsistent with the Catholic faith to believe that matter warps space-time,” Pope Francis stated, “such that objects that would normally have travelled in a straight line would bend their path along this curvature and even fall toward the heavier object.” This is a direct contradiction of the teaching of Doctor of the Church St. Bonaventure, who proved through Aristotelian philosophy that objects are attracted toward one another through Love of God and neighbor.